Public guided tours of Liberty Hall are given seven days a week (from mid-March through mid-November) and depart from Liberty Hall located at 218 Wilkinson Street at 1:30 pm. Note: Effective May 1, 2019 we will no longer be offering tours on Sundays. 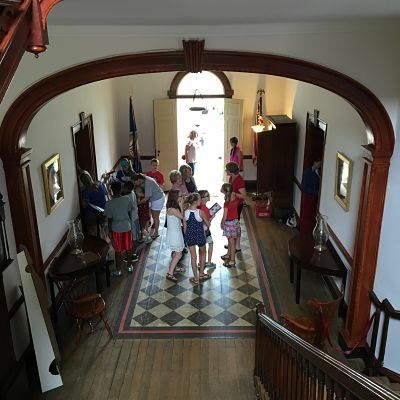 Tours for schools and groups of ten or more may be scheduled year-round with at least 14 days advance notice. 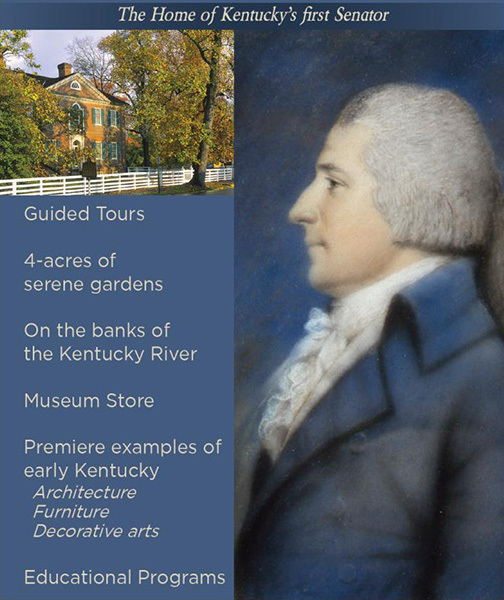 Guided tours last approximately 60 minutes. Liberty Hall Historic Site is dedicated to providing high quality customer-focused and friendly services to all our guests. Click here to read our customer care policy. Liberty Hall is not wheelchair accessible. A handicapped-accessible restroom, however, is available in the adjacent building, the Orlando Brown House. Please call for more information.